Home » How to Use Mass Properties Calculations in DraftSight ? 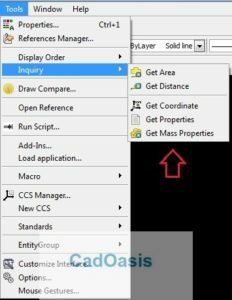 How to Use Mass Properties Calculations in DraftSight ? In VR5.0 DraftSight Introduced ‘Mass Properties Calculations’ . Where is This command ? 1. To use this command first Draw Circle in GA and Region it . I would like to help and solve your queries. In autocad I do Revolve closed polylines to get solid object. Then I use the mass property command to get the area, volume and more props of the revolved object. Can I get the volume of revolved object using Draftsight? Please explain if there is a way to do so. How about mass inertia of the object?